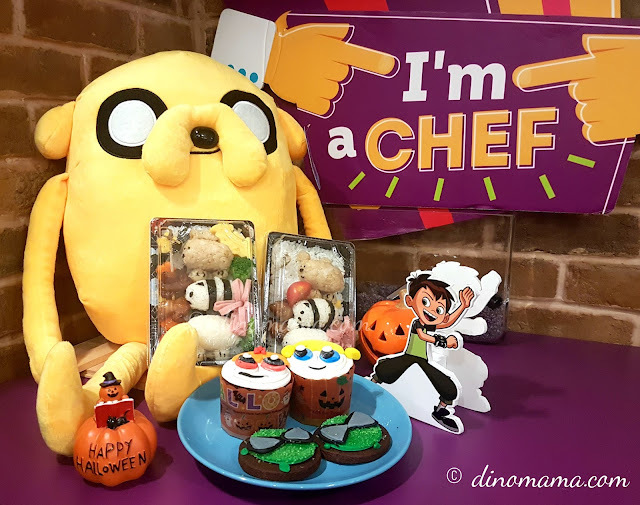 Earlier this month we attended a Parent-Child Howlarious Halloween culinary event together with some fellow mummy bloggers and their family. 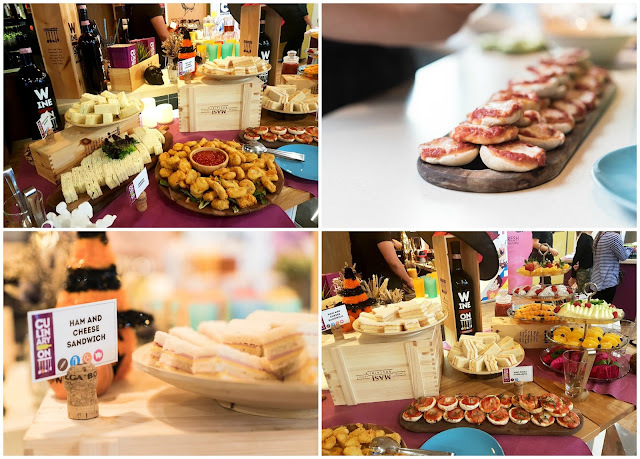 This is an event hosted by Cartoon Network and according to their invite we are going to make bento and some treats. Exciting! We have prepared simple Onigiri bento together for DinoBoy to bring to school many years ago, see post here, now that he is older I think he can handle making a bento complete with veggie decoration etc. When we arrived at Culinary On we were warmly greeted by Ben from Ben10! DinoBoy was happy (even though he does not look like he is, shy lah!) coz he's seeing his favourite cartoon character up close and personal. Too bad Ben did not join us in the kitchen, it would be fun to see him change in to different alien to help each of us with our preparation. After registration we proceeded further in and we were met with FOOD! Yes, I am tam jiak or glutton but this time its coz we missed our breakfast. These delicious finger food and fruits prepared by the good people at Culinary On are a life saver for me! Soon, it was time to start, the first one we have to make is We Bare Bears bento and everyone's taking this VERY SERIOUSLY, look at their faces! 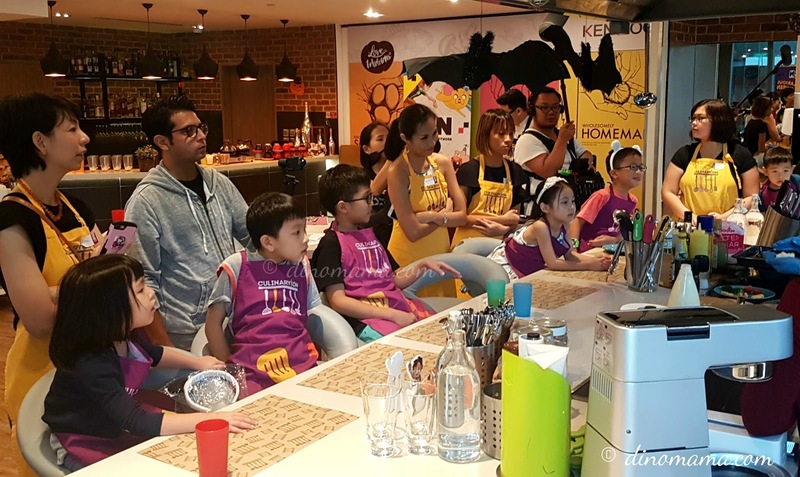 They are glued to the 2 pretty ladies in front; the Chef from Culinary On and Emcee from Cartoon Network. There is a reason why we are paying full attention to the steps for making food, especially for the bento because it is all hands on for parents (ok mostly for the parents) and kids, the nice people from Culinary On are only lending a helping hand when we faces some difficulties. 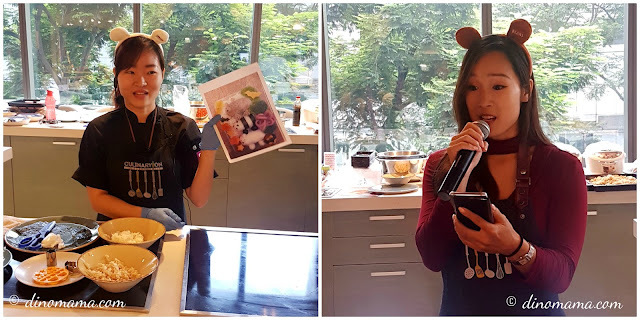 You must be wondering why there are no photos us preparing the Ben10 Omnitrix cookies, well since our hands have to be gloved all the time when handling food, no touching of handphones thus I can't take photos. Strangely there are none from the official photographers too but I think I know the reason. It was a long 3 hours and kids are getting tired and restless, I think the adults too. 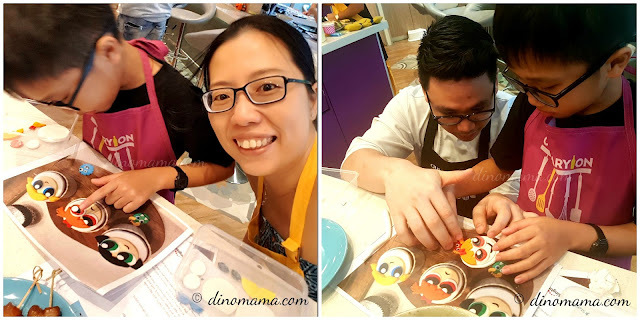 So the parents are probably doing the same as me, busy trying to complete that dreaded Omnitrix cookies as fast as their hands can while the kids are playing among themselves or distracted by something else. So no kids to make the cookies together = no photos hahaha~ Luckily there are many pairs of eyes to watch out for the kids to ensure they are safe while the parents are busy. Though we did not prepare nor bake the cupcakes and cookies, we were given the recipes to try to make them at home. Let's see if we have the chance to do it... ok wait... where did I put that recipe??? 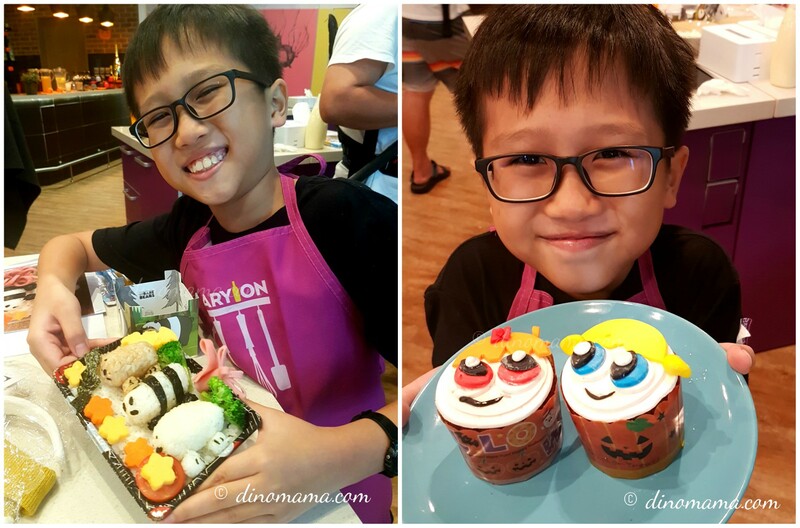 Here are OUR creations; I can proudly said OUR creations because DinoBoy made his We Bare Bear bento and assembled the Powerpuff Girls cupcake topping by himself, you can see that he is absolutely proud of himself. This boy truly love to cook and prepare food! We had such a great time with Culinary On and Cartoon Network staffs, they are all so fun loving and helpful people, some even baby sit the younger ones while the parents are busy with the older kid. 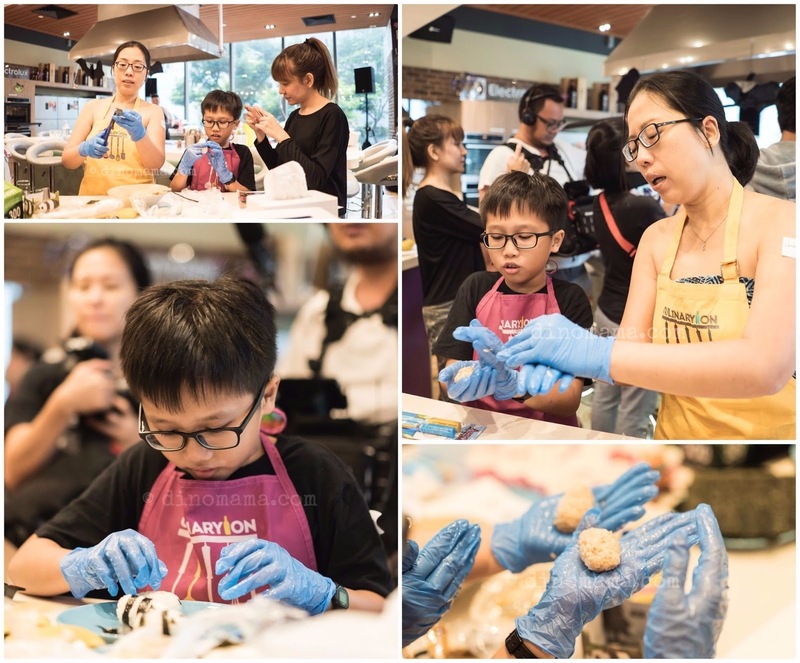 They are really great with kids, it's no surprise I guess coz working in a cooking studio where they constantly host cooking classes for kids they staffs should feel comfortable around kids. And how not to feel like a kid when you are working in a TV channel broadcasting ALL the cool cartoons?! Great job guys! We love to go back again for your next event! Well, for our boy he is ALREADY a Chef, a Home Chef! It wasn't all play for us, we have to work hard too! Here's a couple of shots that says so, in case you think otherwise *wink* DinoBoy don't get interviewed at every event but when he does he puts in 100% effort to share his opinion and views on the topic... so much so that he over-ran the interview time *opps! * I wonder what did the interviewer asked him that got him rambling on and on. 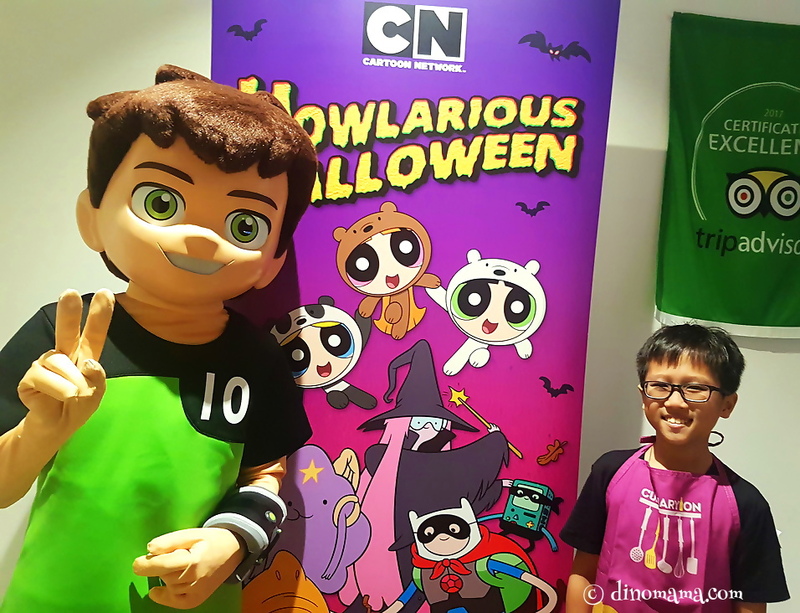 For more updates, do visit: CartoonNetworkAsia.com or the Cartoon Network Asia Facebook Page. 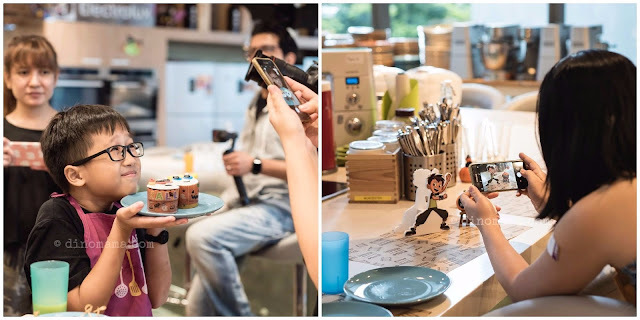 Disclaimer : We were invited to the family culinary event by Cartoon Network, we were not required to write about it but we decided to do it. 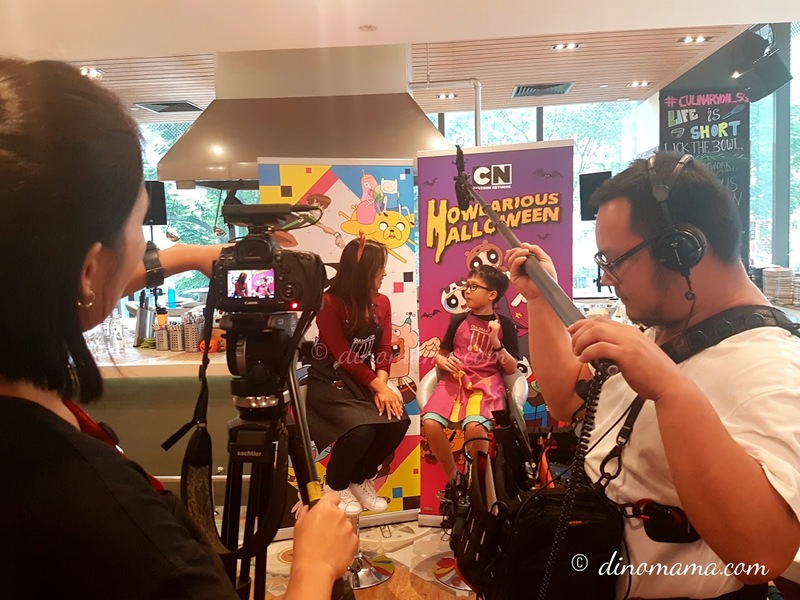 All photos, otherwise individually credited, belongs to Cartoon Network, you may not use any of the photos in this post for your personal use without prior permission from us. All opinions in this post are 100% ours based on our experience during the event. No compensation were received.